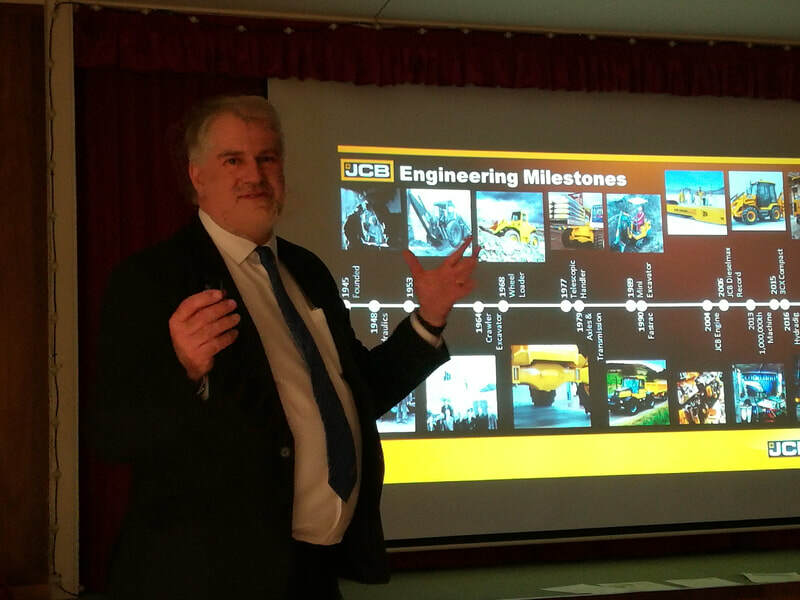 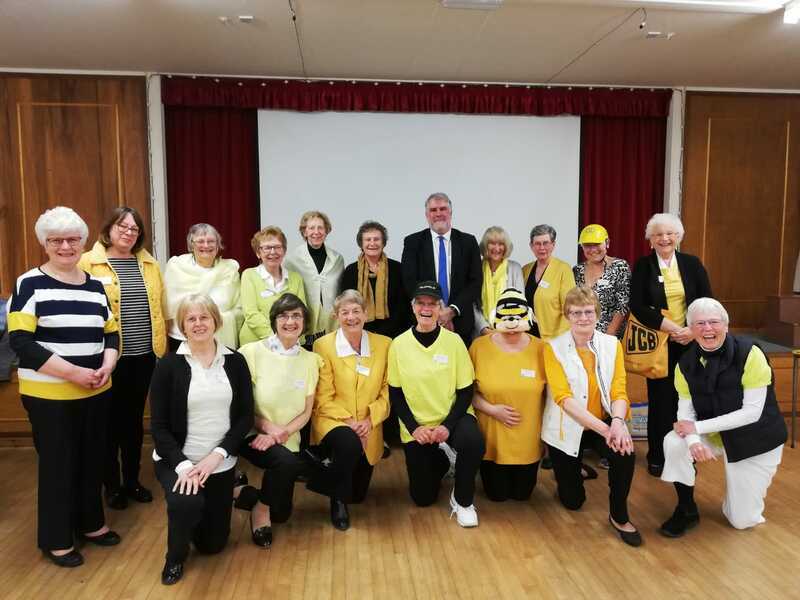 Simon Ratcliffe gave us a fascinating insight into the World of JCB and our members rose creatively to the monthly challenge to wear the JCB colours. 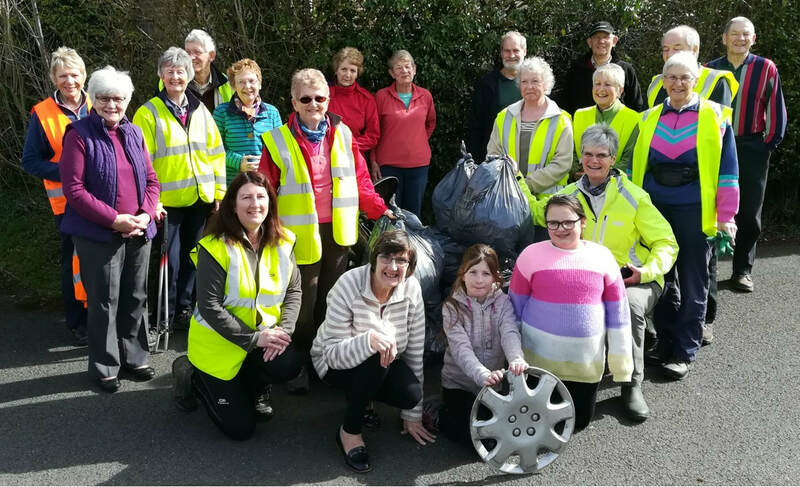 Denstone WI chose a beautifully warm, sunny Saturday morning to organise a community spring-clean in and around the village. 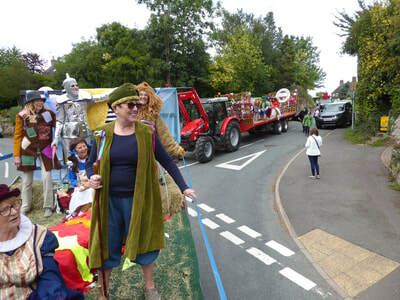 Notices had been posted a week in advance and, on the morning itself, thirty-two willing, cheerful, sociable villagers - young and old - appeared, were equipped with hi-viz gear, grabbers, gloves, bags and hoops, and each given an area to clear. 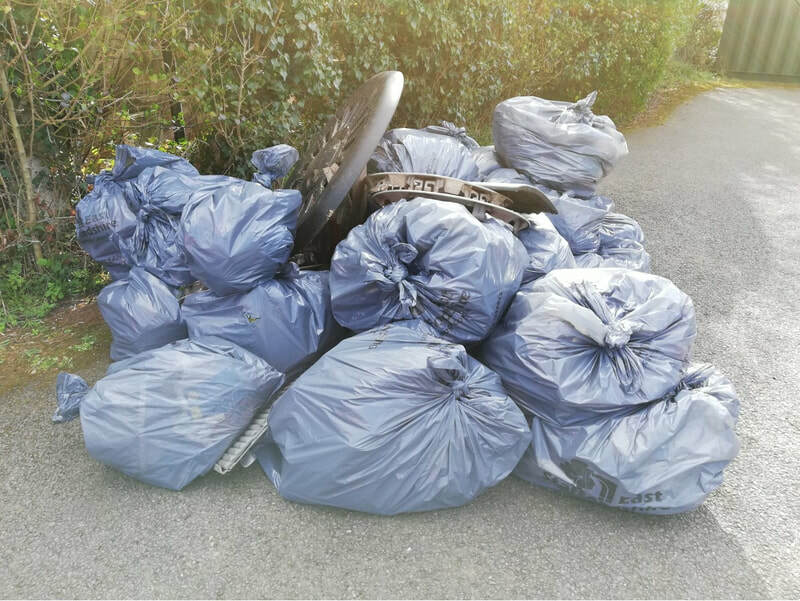 An hour and a half later, a huge pile of bulging rubbish bags, filled with all manner of litter, appeared in the village hall car park. 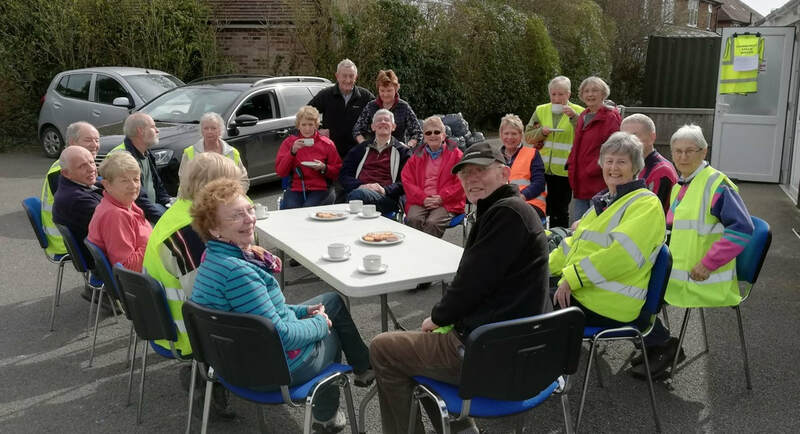 Everybody then relaxed in the sunshine to enjoy a well-earned cup of tea and biscuits. We were all very pleased with a good job done. 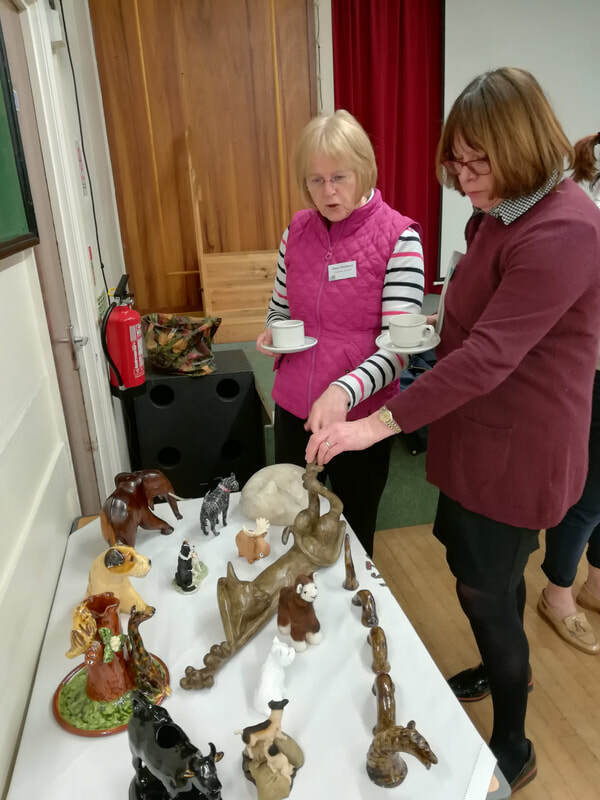 Local vet Julie Grey came to give us a talk about her life as a vet giving us a fascinating insight into how much has changed in her working life while she has been in Rocester. 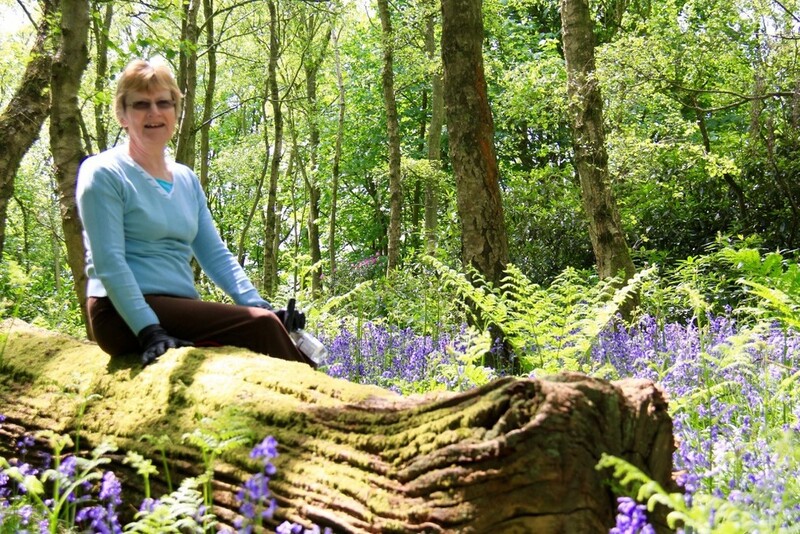 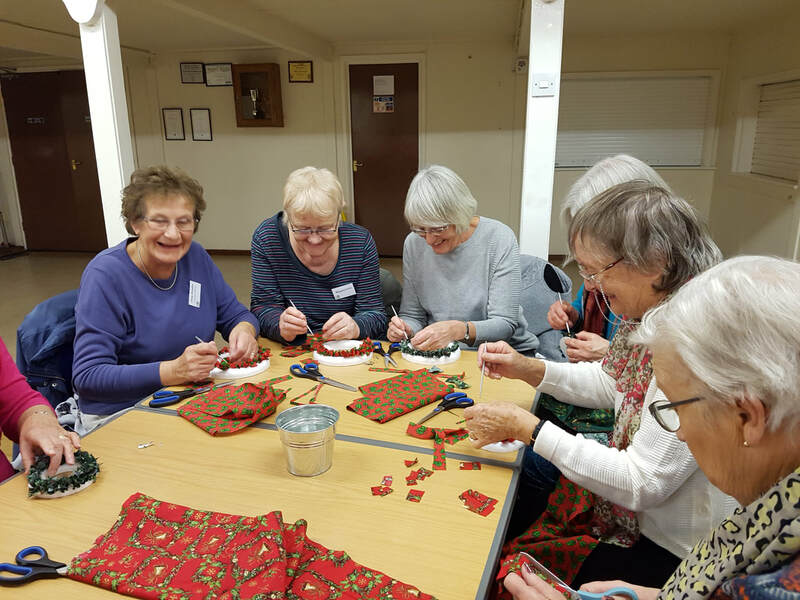 February may be the shortest month, but our members have certainly been very busy. 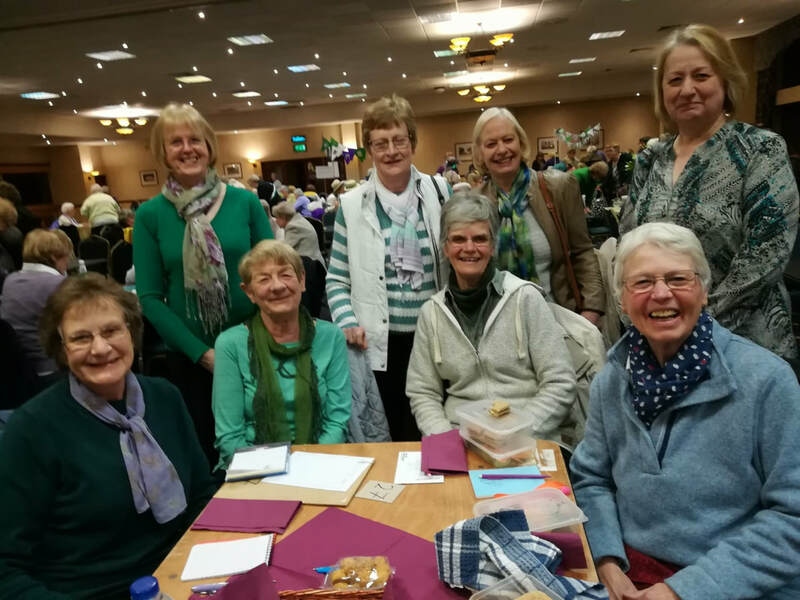 We entered two teams for the Staffordshire quiz which is always challenging and good fun. 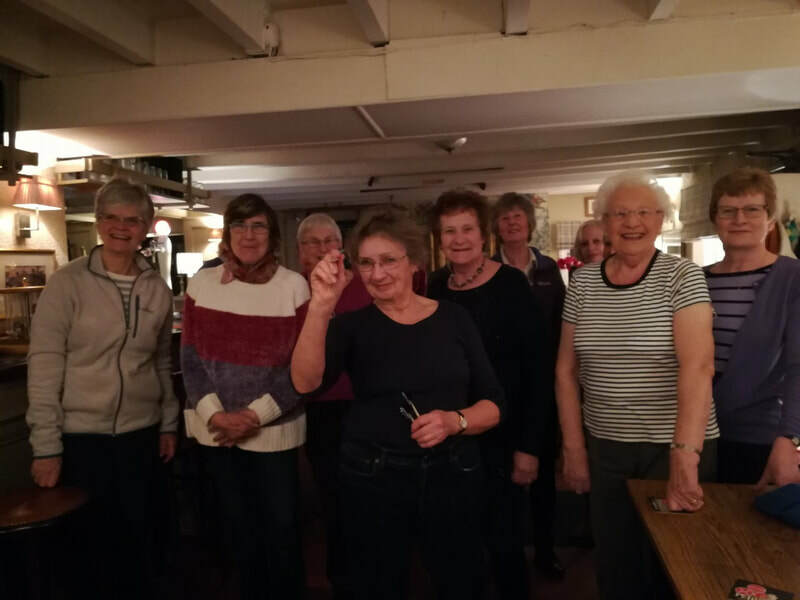 Our activities night was Darts at the Tavern in Denstone which again provided lots of fun and laughs. 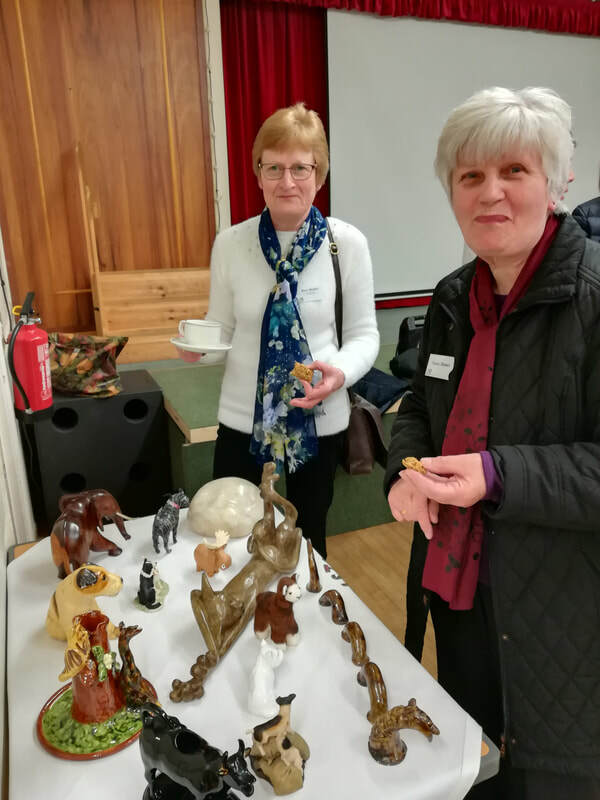 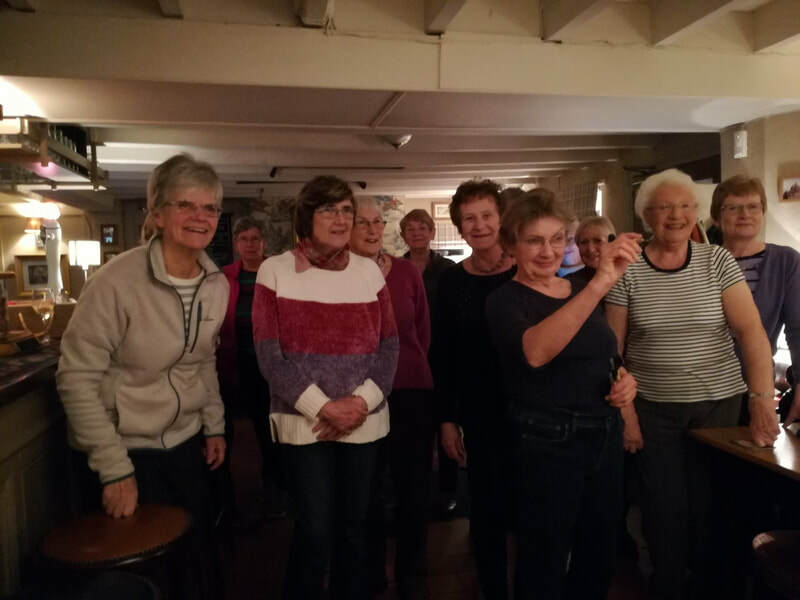 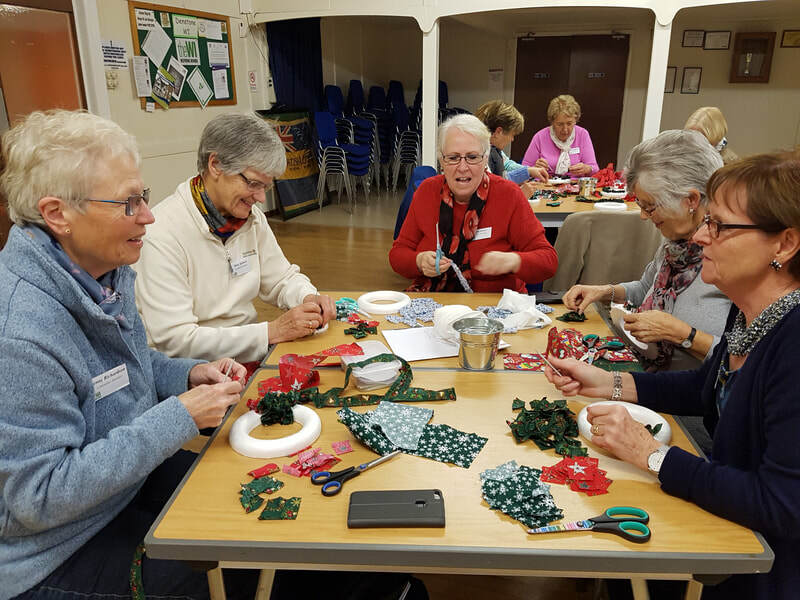 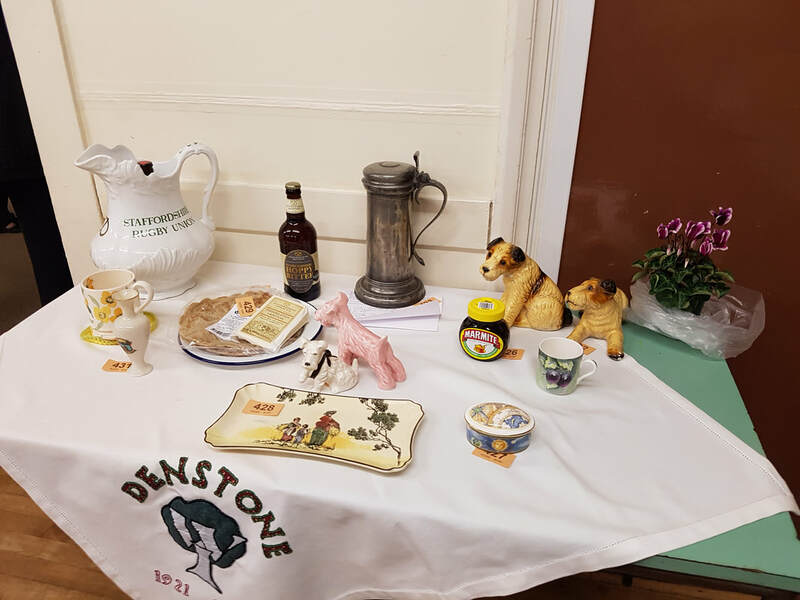 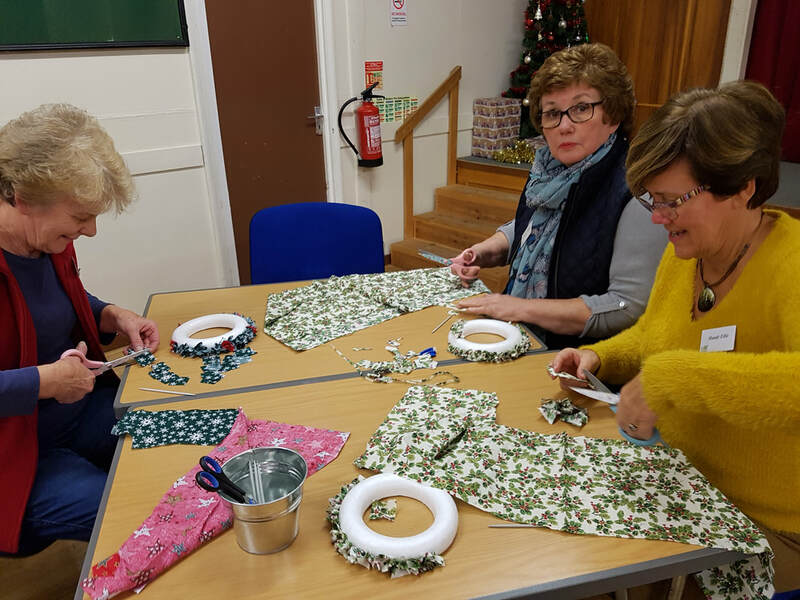 Denstone WI relived their school days at their recent monthly meeting. 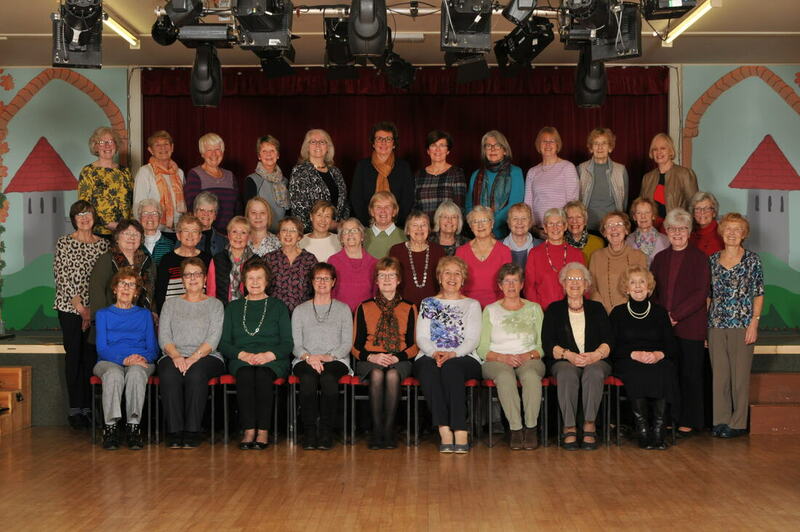 Courtesy of Claire Cooper, this month’s speaker, and her assistant, who work for Tempest Photography, members were lined up and efficiently arranged into a typical “school photo”, with Rose Barker, “Head Girl”, our current President, in centre stage. 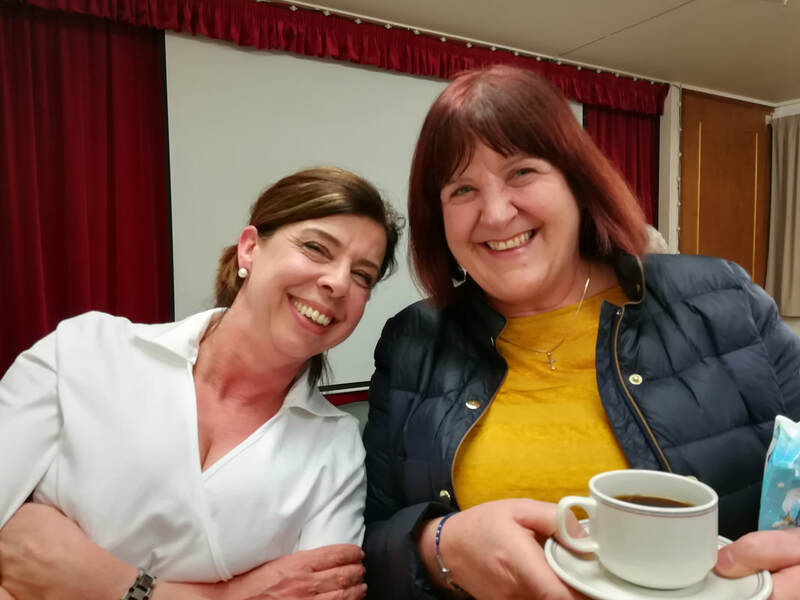 Claire then gave an informative and enjoyable talk on their work as School Photographers. 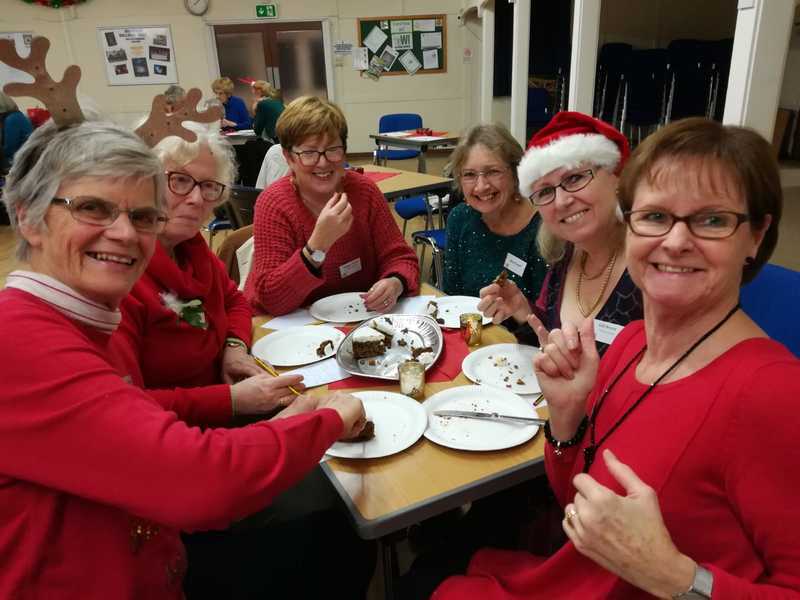 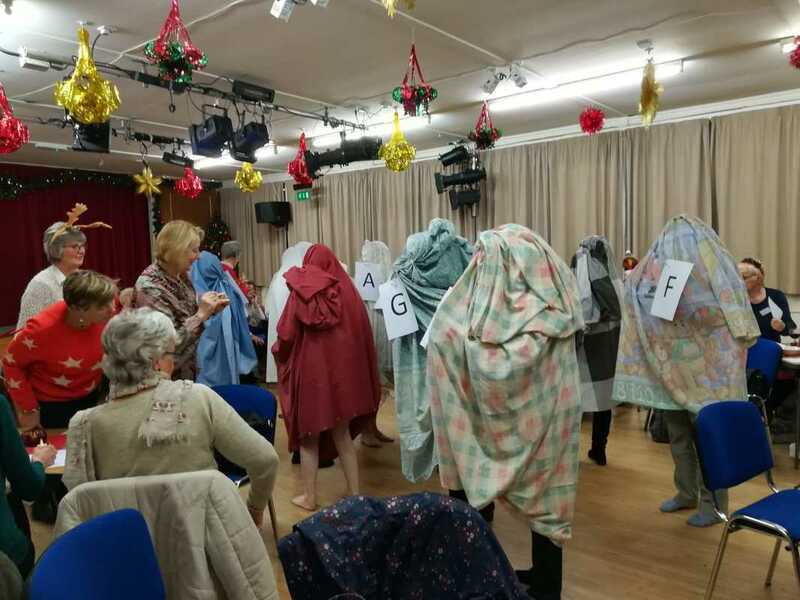 Members enjoyed a very festive evening with Christmas Cake tasting, quizzes, games and carol singing. 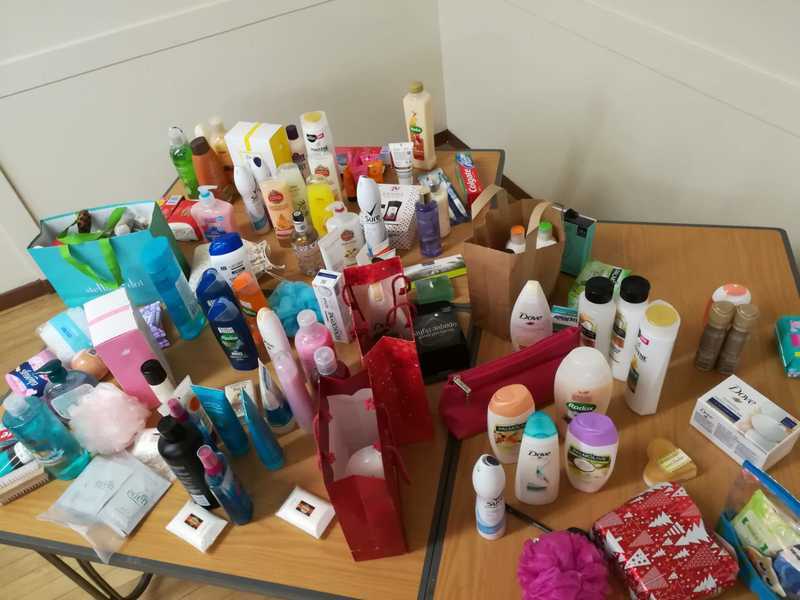 They also brought toiletries for the Women's Refuge in Cheadle. 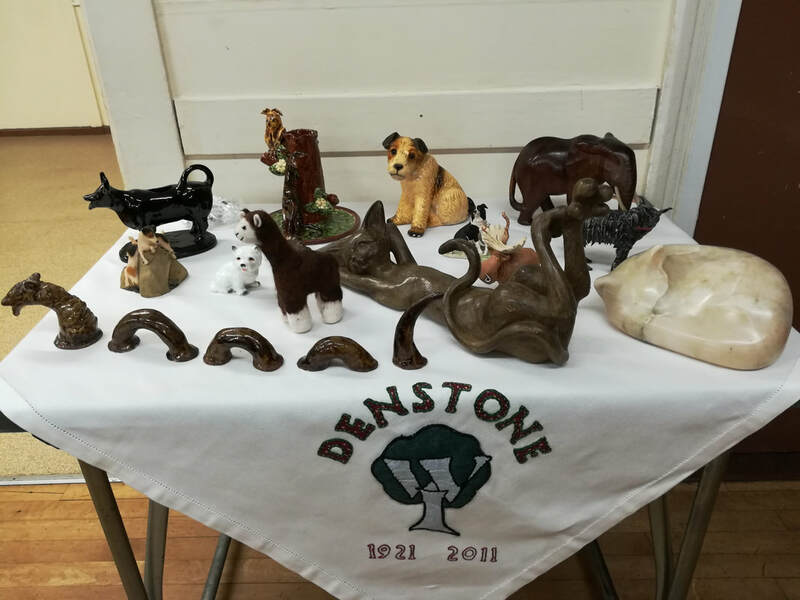 Our speaker this evening, Ian Dudson CBE, gave an interesting and informative talk about his time in the family firm, Dudson Pottery. 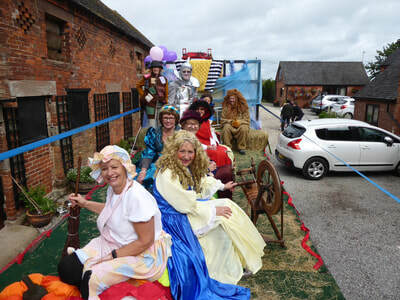 He also spoke of his duties as Lord Lieutenant for Staffordshire. 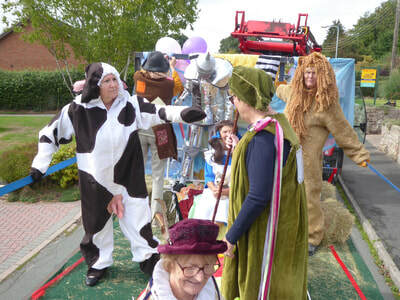 ​The competition was for items made in Staffordshire, the variety shows how creative the county is. 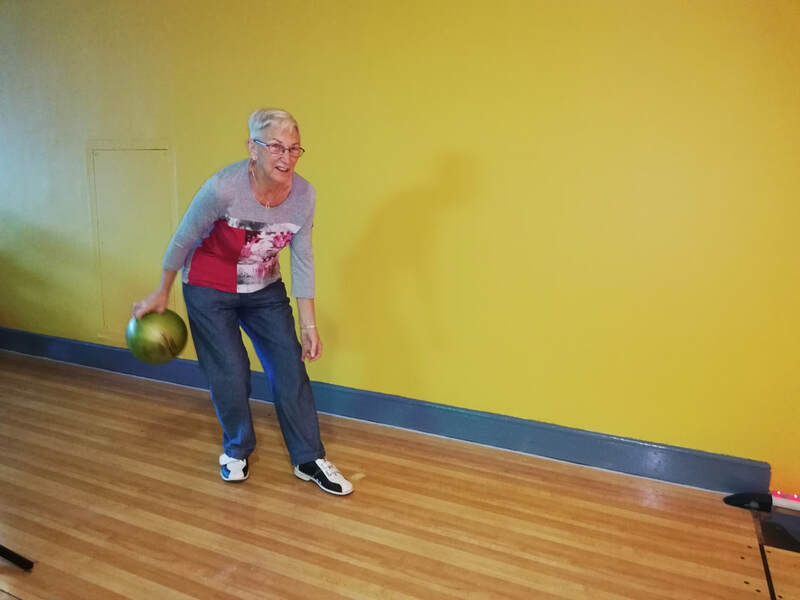 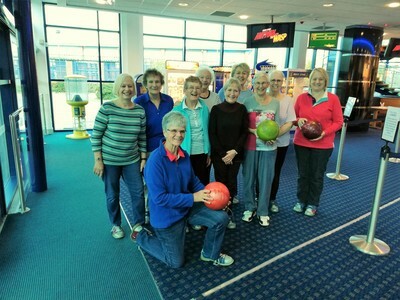 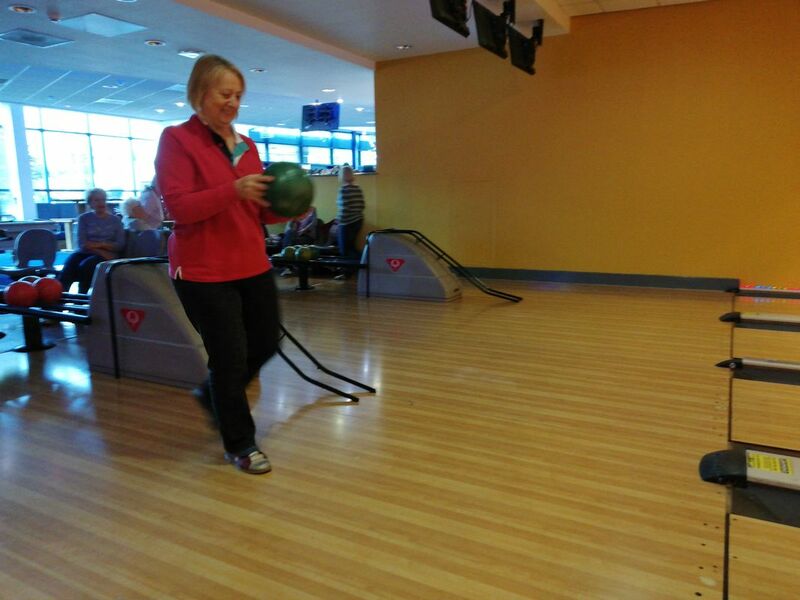 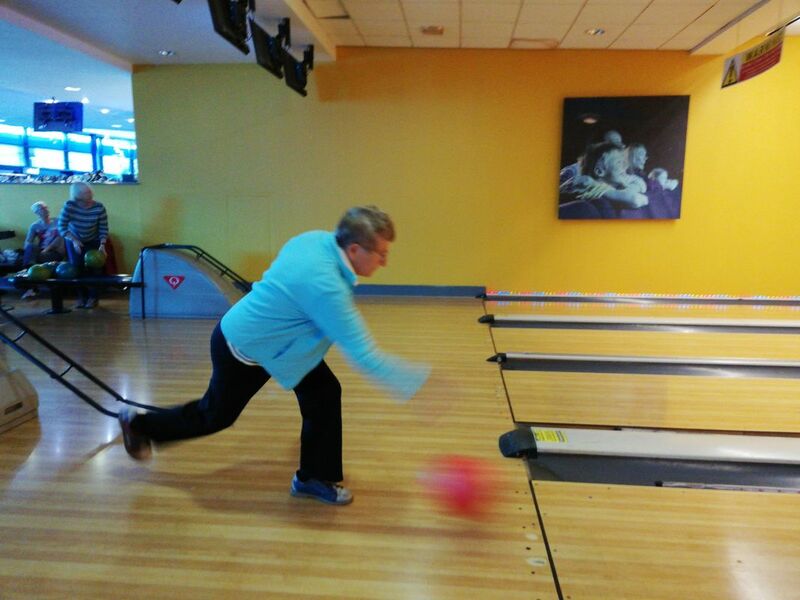 Another excellent morning of bowling was enjoyed by our members. 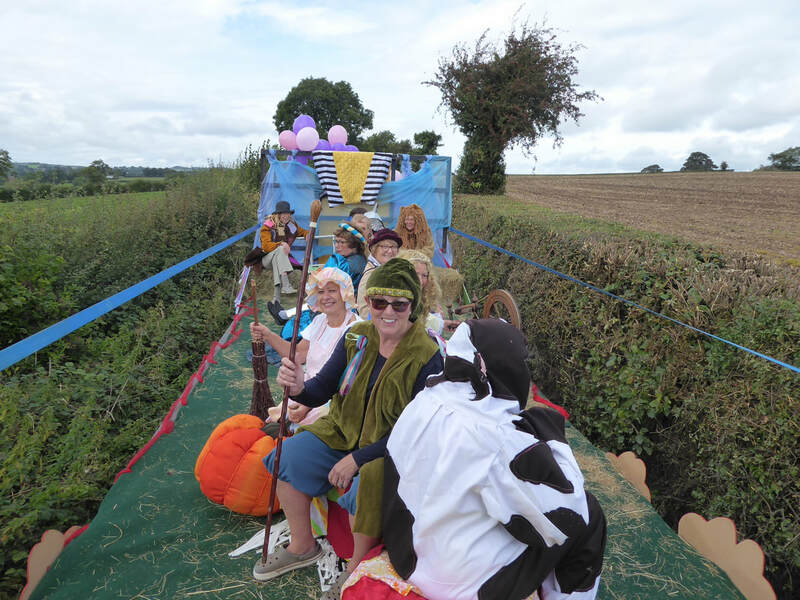 The revived tradition of having decorated floats in the show galvanised many of our members to take part. 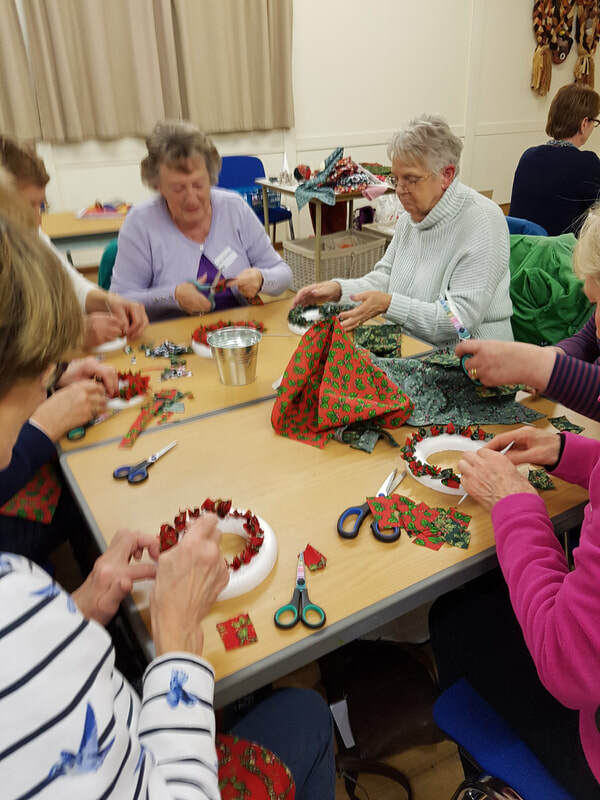 A lot of hard work and fun was had by all, well done ladies!